Blood-pumping, exhilarating excitement that cannot be missed! Blurb: Felix “O” O’Connor is an ex-con from central Ohio that has spent the seven years since being released from prison working on a ranch in the Big Horn Mountains of Wyoming. Rarely does he venture out into the world and never does it come looking for him. Both of those things change when his twin sister Alexa “Lex” Borden calls from Columbus, Ohio to ask for his help. Earlier that afternoon, she and her husband were both beaten unconscious and their two year old daughter abducted from their front yard. Nobody saw a thing, the police are stumped, and it is a well known statistic that if a child isn’t found in the first 48 hours, they rarely are. O immediately drives back to Ohio and finds himself with just 21 hours to find his beloved niece before potentially losing her forever. Plunging himself into a world he’d long ago left behind, he crosses paths with criminal masterminds, human traffickers, gun runners, drug smugglers, blood-thirsty spectators and suspicious detectives all in the name of bringing her home. I absolutely LOVED 21 Hours, a perfect action thriller suspense following the love and determination of an ex-con and uncle willing to do anything to save his niece after she is kidnapped by a gang of criminals during a violent attack of her parents. This story is packed full of tension, action, emotion and pace, leaving the reader no opportunity to disengage. Not only do we have such an intense situation to begin with, but to add to the tension further we have the time aspect. After realising the police have no leads and seem to be lost, ‘O’ is told that it happens to thousands of children a year – many of whom are never found, and those that are found safely are usually found within 21 hours. Written in first person, the reader can follow every thought, every move of ‘O’. This sets the reader up knowing that ‘O’ will not stop until the very end or until he no longer can. The pace of 21 hours is therefore fast, exciting, powerful, intense and strongly emotive. Whilst 21 Hours has it’s fair share of violence, blood and gore it is all necessary for the story. It adds to the tension, action and excitement. There are shootings and fight scenes that become inevitable as there are times when ‘O’ simply has no choice, when it’s his only chance of defence and when he is quickly running out of time. The gangsters and criminal masterminds he is dealing with have no compassion, or remorse, and would shoot him dead in a second. Therefore, the reader is left in no doubt as to the measures ‘O’ is willing to take. A fascinating aspect of 21 Hours for me was the relationship between ‘O’ and the lead female detective in the case, Watts. Watts is a strong and determined character, who believes she has summed up ‘O’ from her first meeting with him. She and her colleagues have suspicions that ‘O’ could be involved and with his track record of being an ex-con it is a possibility that his past has something to do with this. Watts provides ‘O’ with another challenge as her methods of investigating and his are completely different. Unfortunately, Watts has seen and heard of too many of these kind of cases, and with no leads she is left to play the waiting game in the hope that the abductors call for a ransom. ‘O’ on the other hand doesn’t want to waste precious time, considering he may only have 21 hours. This is a situation that is certainly unique to ‘O’ and extremely personal, whereas one could argue that Watts has no emotional tie and is not a stranger with working and hearing of these types of situations. There is a clash between these characters from the offset but the beauty of this is when Watts’ eyes are opened to the different sides of ‘O’. It almost becomes a love/hate relationship. One of which I hoped to blossom into something more. I would love to hear from these two characters again as I believe they are too good to leave alone. I cannot express how much 21 Hours is right up my street. Being brought up watching many action films of the 1980’s and 1990’s this novel fits easily into this category with many similarities (most notably with Lethal Weapon, Commando, Ransom, and Con-Air for me), and yet still remaining original and exciting to read. What the reader can’t escape is the sheer desperation ‘O’ has to saving his niece and bringing her home. The reader finds themselves cheering him on and when he becomes injured you feel the need to jump into the novel, pick him up, brush him down and tell him to ‘go get ’em’!! A copy of 21 Hours was provided by the author for the purpose of an honest and fair review. 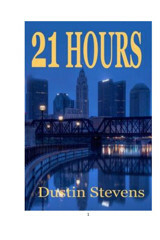 21 Hours by Dustin Stevens is available on Amazon UK and Amazon US. Dark and Intense Fairy Tale! This is another mind blowing, intense and deeply psychlogical read from Kitty Thomas. Readers of this author will be familiar with her imaginative literary erotica. For my part, I am still working my way through her backlist, having read Tender Mercies, Submissive Fairy Tales and Big Sky. At times I like a dark read that blurs the boundaries between wrong and right, moral and immoral and good and evil and few can equal this author. Kitty Thomas’ books always provoke a moral dilemma in my head, which stays with me long after I have read the book! In Blood Mate we have a powerful and ancient vampire August, formerly a pious man, who was turned against his will and who bears a terrible curse. He must drink the blood of his terrified human victims night after night, his desperate efforts to end his life being fruitless. 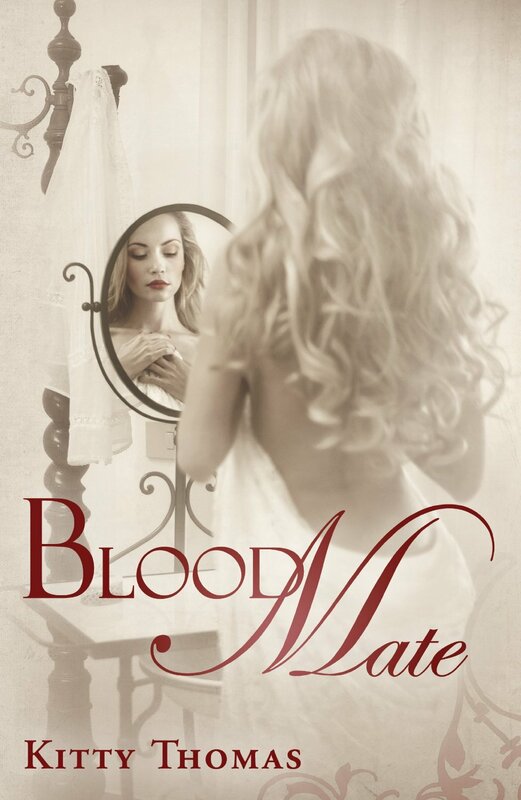 The only way that his torment can be assuaged is to find his one and only blood mate, a woman whose mind he cannot enthral but who will be able to satisfy his blood-lust each night, negating his desire for another’s blood, and remain with him for eternity. But hey, this is in no way your usual tortured vamp meets his mate affair, leading to a HEA. In fact if a neat and tidy HEA is what you are after than this is not the book for you. This is Kitty Thomas and Nicole, the heroine of this story does not play ball and fall at the vampire’s feet, despite her physical attraction to him, for she has already found her soul mate, her husband Dominic, and she is not giving him up without a fight! What follows is a dark and twisted tale examining love, blood-lust, desperation, guilt, torment, sanity and jealousy, peppered with scenes of eroticism and violence which literally took my breath away and had me questioning what was right and what was wrong. August is a vampire who will go to any lengths to ensure that Nicole accepts him as his blood mate and the lengths he goes to are not romantic by any means. Despite his actions I do have some sympathy towards him as he does retain a spark of humanity. It is this spark of humanity, coupled with the wish to not harm his mate, that drives the plot in directions that only this author could envisage. Nicole‘s husband Dominic, a strong and sympathetic character, is also a key player in the development of the plot and the ending took me completely by surprise and I have not stopped thinking about it since! I will not say any more as to do so would spoil the plot for those that are tempted to buy the book for a truly entertaining and thought-provoking read. Do not just take my word for it but check reviews elsewhere– just be sure to put on your big girl’s pants if this is your first Kitty Thomas book! The wonderful title of this novella immediately attracted me. When I learned that it features a mad scientist, abduction, a weird laboratory inside a mountain and a plot exploring true love versus Stockholm Syndrome, I just had to read it! I obtained the book some months ago via Smashwords. It is no longer available there, but it is still free in pdf format on the author, Christine Pope’s website www.christinepope.com. The work is based on the song “Skullcrusher Mountain,” by Jonathan Coulton, www.jonathancoulton.com , which is written under a Creative Commons license that permits the creation of derivative work as long as no profit is made from it. In “Welcome to Skullcrusher Mounatin” Jenna Masterson, a newly employed newspaper reporter, is curious to discover what people are wary of on Black’s Peak, a mountain known locally as Skullcrusher Mountain. Whilst she is exploring the mountain she is abducted by a monstrous hairy man and delivered to Dr Theophilus Black, an eccentric scientist who lives deep within the mountain. When Jenna accuses Theo of kidnapping her, he denies it and says that he is simply “collecting” her. Jenna recognises that Theo is not of sane mind, naturally fearing him and to what end he has kidnapped her. This fear is compounded when she learns that women previously abducted by him have disappeared. However, Theo does not pose an immediate threat and she decides to play along with him, doing what it takes to save her own skin. She therefore accepts his invitation to dinner and thus begins a bizarre relationship and courtship. Theo is surprised by Jenna’s apparent lack of fear and is determined to make a good impression on her, serving her fine wines and food and is quick to have her moved into a spacious apartment within his home. He hopes that she will be different from the other women, who tended to turn hysterical when introduced to him, and tries to impress her with his scientific endeavours within his laboratory. Theo is the archetypal ‘mad’ scientist, a recluse, caring little for his appearance. He is attracted to Jenna from the off, viewing her as “exquisite” and “the best yet.” He is also a hero who does not know how to relate to others, especially women, due to his isolation and his upbringing, being more comfortable with quantifiable facts and data. When Jenna is upset at one of his creations he is not only angry but confused and hurt, which was endearing. Although I found him a little threatening and strange to begin with, I soon came to sympathise with him in the same way that Jenna does. He appears to be very vulnerable and suspects Jenna’s motives when she reciprocates his advances and they become lovers. We also learn of the past goings on in the Black household, and we are left wondering if it will all end happily or not. Much rests on what will happen when Jenna asks Theo about the fate of the other women abducted and to what extent he had a hand in their disappearances. The humorous repartee between Jenna and Theo is very entertaining, as are Jenna and Theo’s respective conversations with Scarface, Theo’s loyal servant who has been “collecting” girls for him all his life. The scene where Scarface offers Theo advice on how to court women is particularly humorous. I very easily found myself transported into the heart of Skullcrusher Mountain, due to the vivid manner in which the author describes Theo’s home, with its mixture of ‘faux gothic’ and up- to- date modern conveniences and strange inventions. 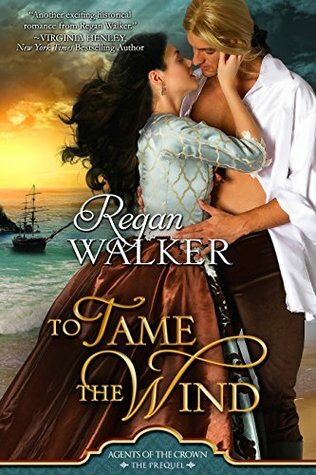 I would recommend this book to those who like to read romances which are a little bit different, especially if you enjoy captor-captive tales with a bit of weird science and skulking henchman thrown in! Readers of paranormal and fantasy romances are urged to check it out. I have since read Christine Pope’s novel “ Dragon Rose ( Tales of the Latter Kingdoms)”, which I will review later this month.